The Summer Olympic Game was first held in 1896. It is an international multi-sport event which occurs once in every four years under the organization of the International Olympic Committee. The city of Rio de Janeiro, Brazil has been elected host city of the Games of the 27h Olympics and it is due to take place from 5 to 21 August 2016. Rio will be the first South American city ever to host the summer games and the first place to hold Olympic in a Portuguese-speaking country. The competition venues will be clustered in four zones - Barra, Copacabana, Deodoro and Maracanã. The competition will include 306 events out of 42 Olympic sports disciplines over the course of 19 days (August 3rd and 4th football) and will yield 136 medals for women, 161 for men and nine mixed medals. This year, record number of countries (207 countries, new entrants are Kosovo and South Sudan) are participating in a record number of events. These sporting events will take place at 34 competition venues in the host city and at 5 venues in the cities of São Paulo (Brazil's largest city), Brasília (Brazil's capital), Belo Horizonte, Salvador, and Manaus. 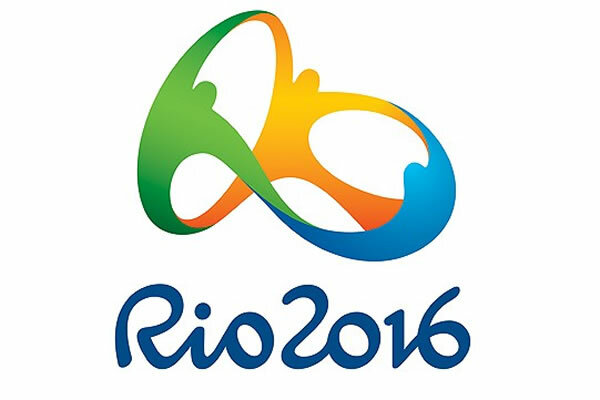 The Rio 2016 opening ceremony will be at the world famous football (soccer) Maracanã Stadium in Rio de Janeiro on August 5, 2016. It is always a big relief and quite refreshing to walk into a cool room after being out in the hot sun. 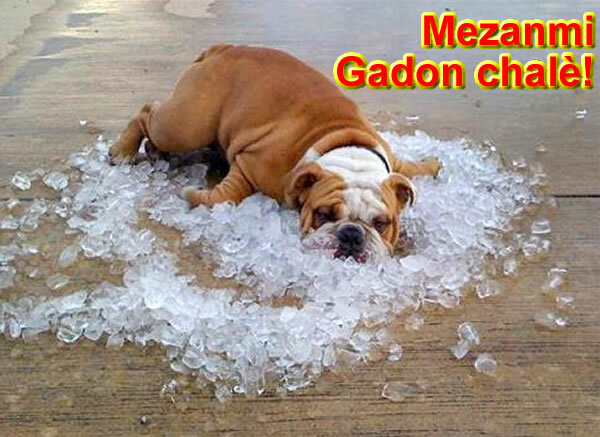 But very few of us are aware that prolonged use of air conditioners causes more harm than good. 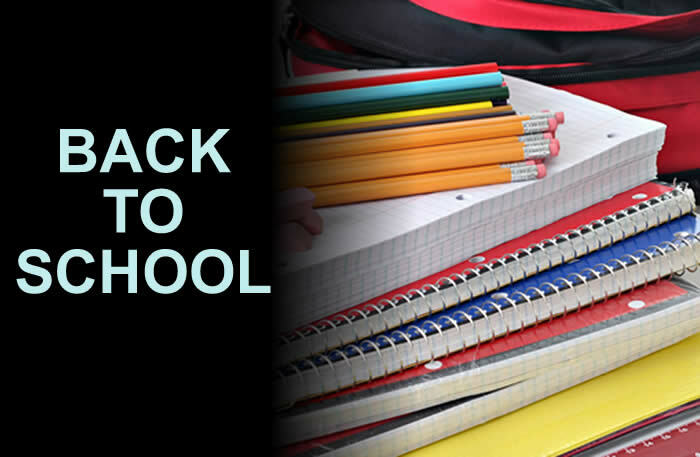 It plays havoc on our skin and hair. Our skins are not sufficiently protected to combat it; the chill of AC pulls out moisture from the skin and leave it feels dry and stretched. The people with dry skin must have noticed that their skin becomes flaky after regular or prolonged exposure to AC, because constant dryness affects the inner layer of the skin. 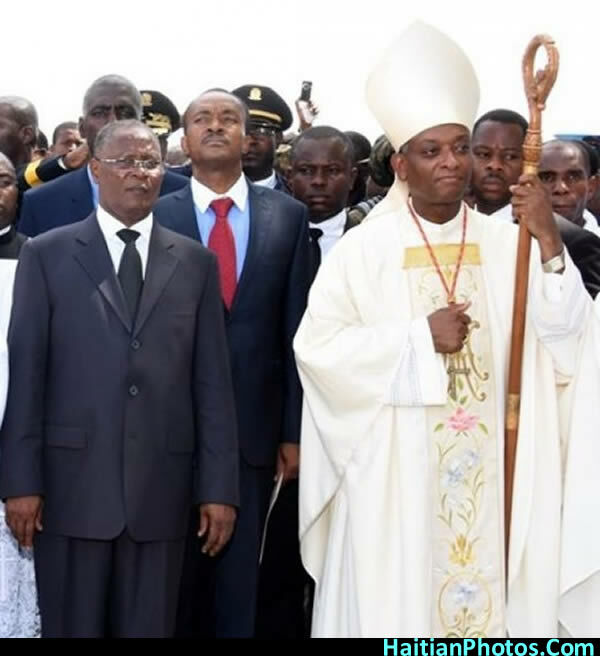 In an interview with newspaper Nouvelliste on Monday night, Cardinal Chibly Langlois made his opinion known about the current political crisis in Haiti. 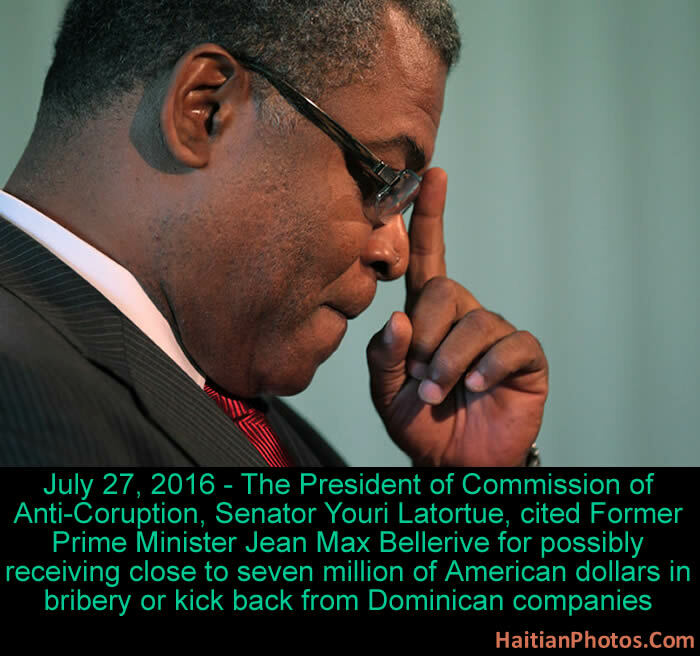 The Haitian cardinal calls for Jocelerme Privert to remain as Provisional President, calling it the lesser evils. Cardinal Chibly Langlois stated that he has been following the political development in Haiti and is concerned about what is going on in currently. He thinks that the Haitian Senators and Deputies should not use the Parliament as a tool to defend their own interests and that priority should be given to improving the condition of the population. 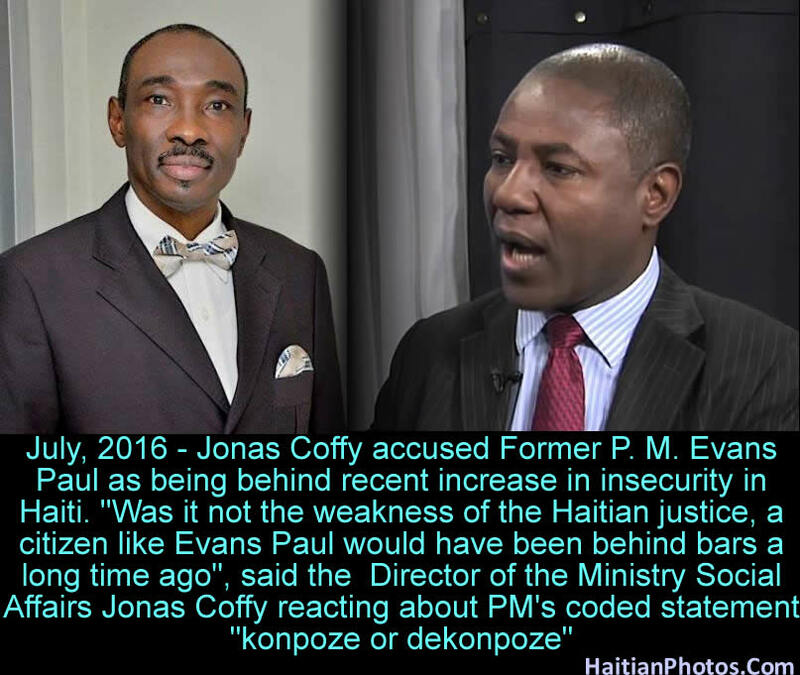 Mr Jonas Coffy who is the current director of the Ministry Social Affairs in Haiti accused Former Prime Minister Evans Paul as being the one behind the recent increase in insecurity in the Haitian capital. He also accused him of stealing government fund while he was Prime Minister. Mr. Coffy was reacting to recent comments made by Former Prime Minister Evans Paul; specifically his statement: "konpoze or dekonpoze" which many people believe to be coded messages promoting public violence. According to Mr. Coffy, " It's a shame that our Judicial system is so weakened. 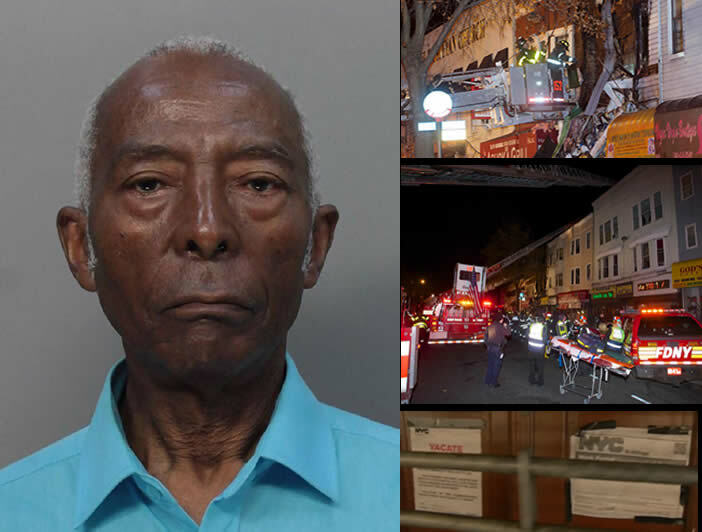 Was it not the weakness of the Haitian justice, a citizen like Evans Paul would have been behind bars a long time ago"
Tony Rodham is the youngest brother of Hillary Rodham Clinton. He is a former repo man, prison guard and private detective who used to work to secure foreign financing for a company. In October 2013, Tony Rodham joined the advisory board of VCS Mining, a Delaware-based company that was planning a gold mine in the Cap-Haïtien and was awarded the contract for carrying mining activities. 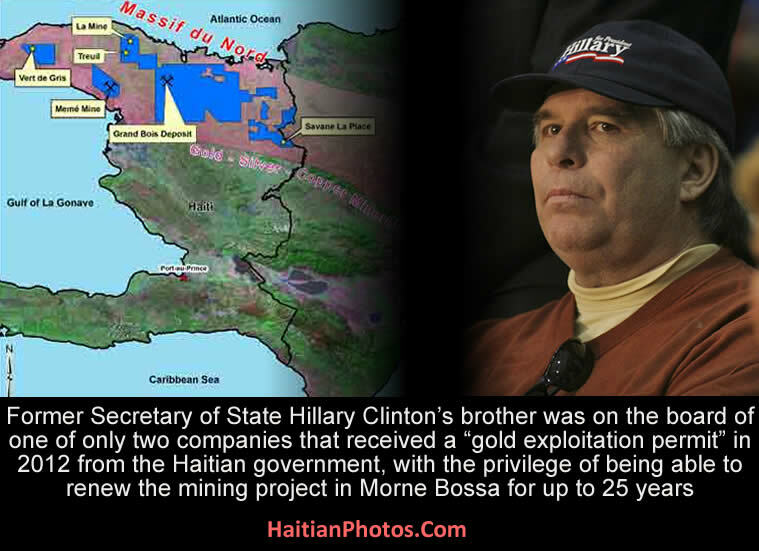 It was a both lucrative and controversial deal, because Haiti has an estimated gold reserve of about $20 billion and the permit for mining was not issued to anyone in the last 50 years. 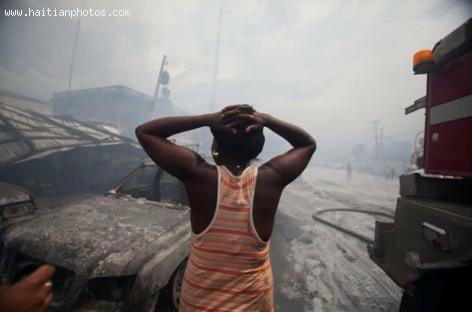 Did Hillary Clinton Help In Maintaining Slave Wages In Haiti? 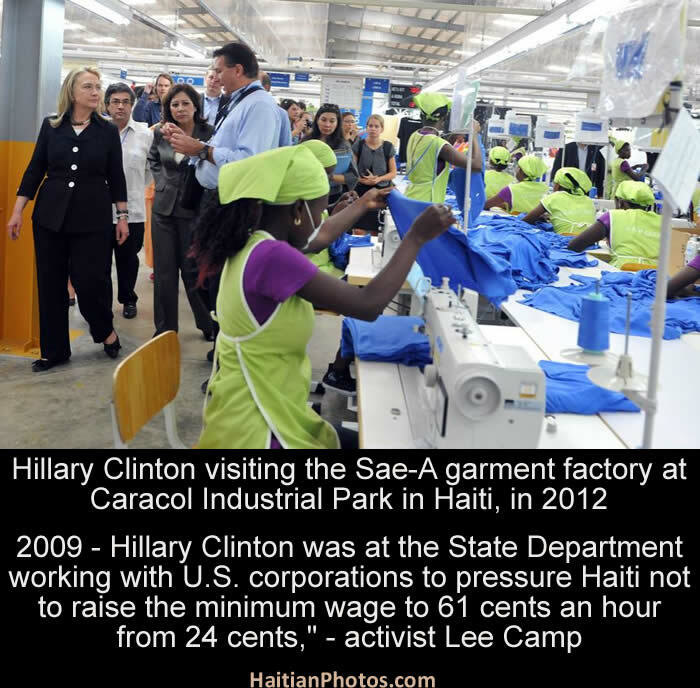 In 2009, when Hillary Clinton was at the State Department working with U.S. corporations, she pressured Haiti so that its Parliament does not raise the minimum wage rate to 61 cents an hour from 24 cents. Some memos found from the Wikileaks strongly suggest that the U.S State Department aggressively blocked the proposed minimum wage increase. The U.S Embassy officials in Haiti clearly opposed such wage hike and met several times with the factory owners and in turn, the factory owners directly lobbied against the raise to the Haitian president. The motive behind this move to fix a slave wage rate (less than $5.00 per day) for Haitian workers was perhaps to benefit the big U.S clothing manufacturers like, Levi's, Hanes and Polo.